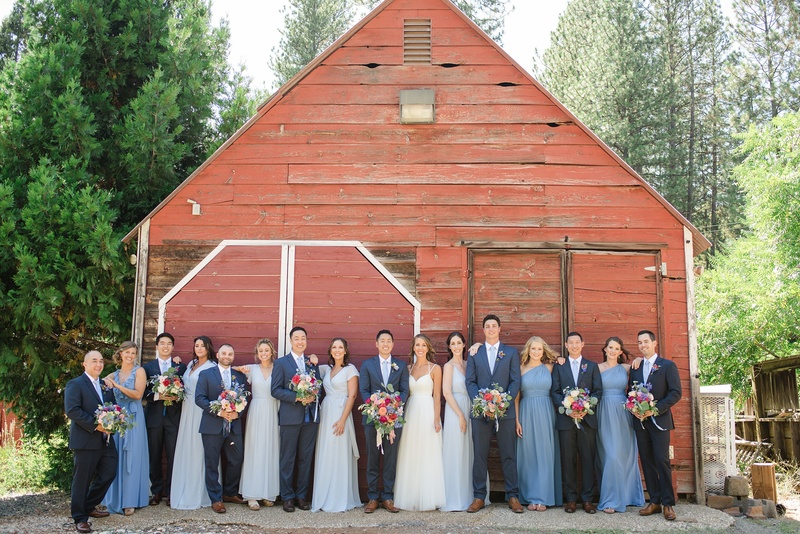 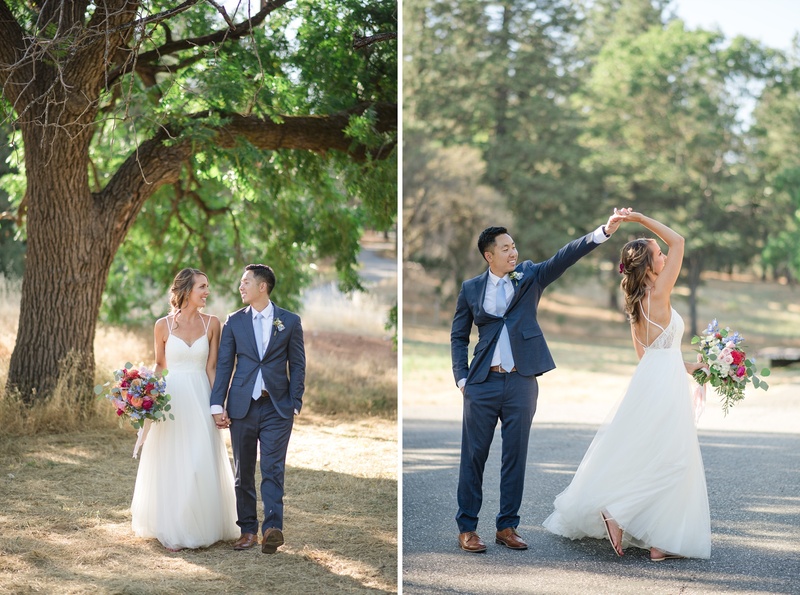 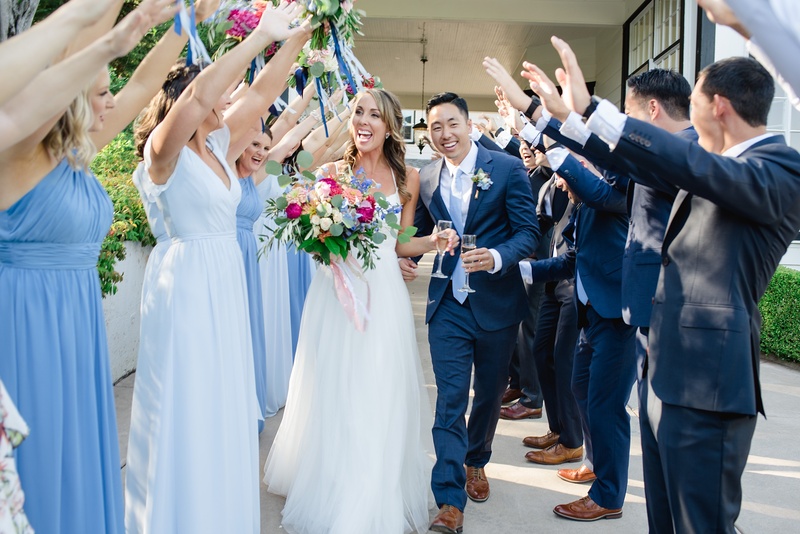 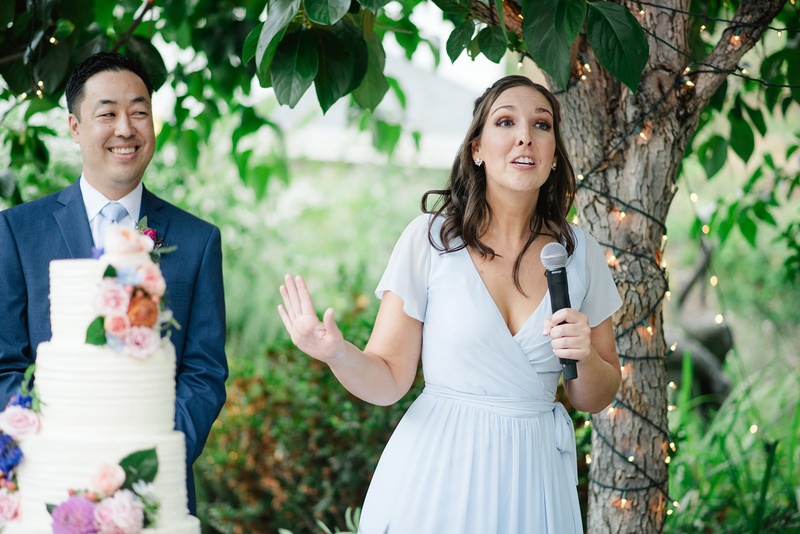 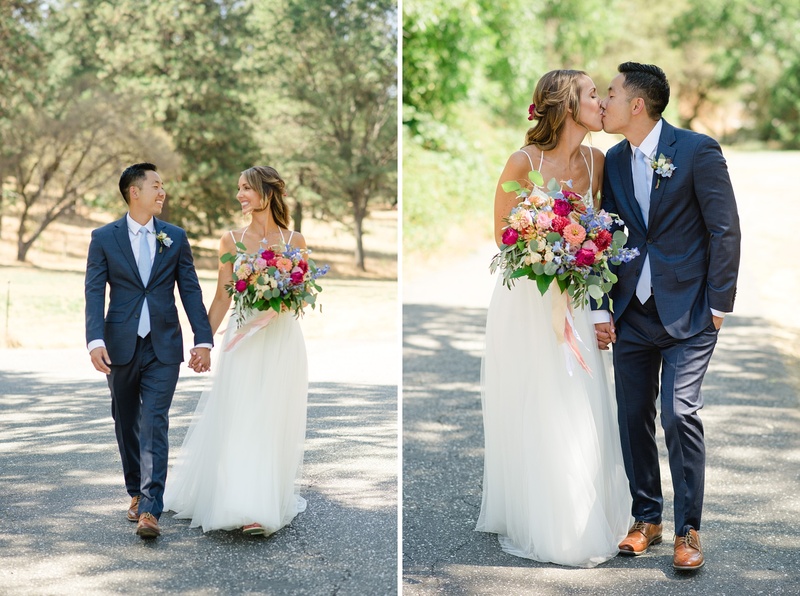 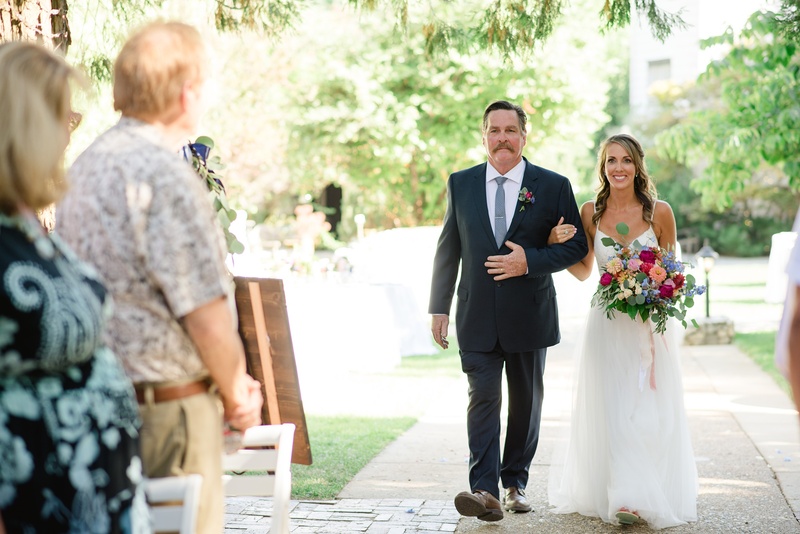 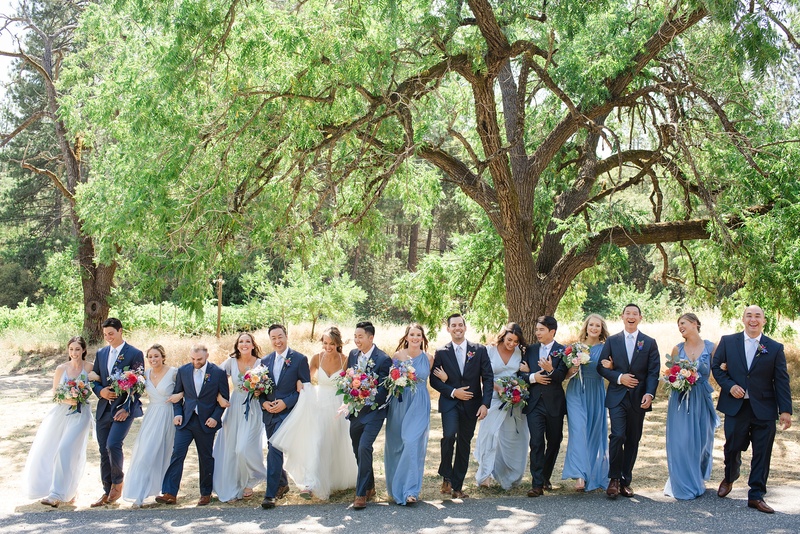 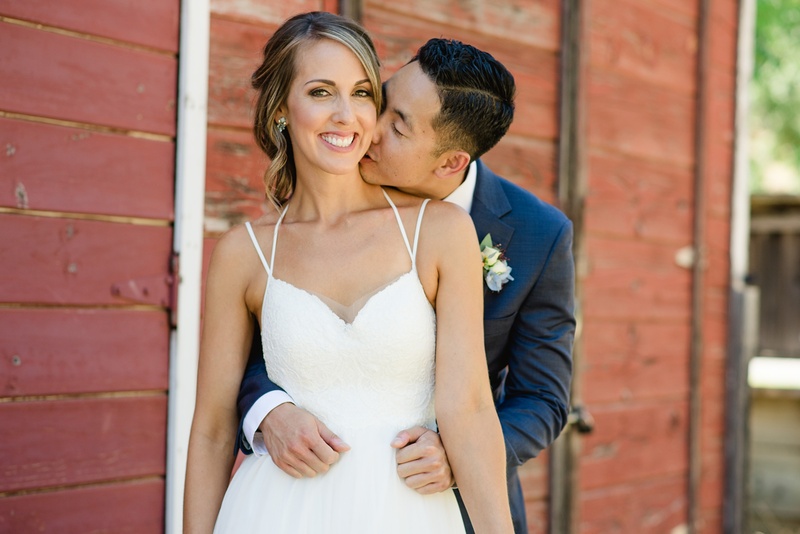 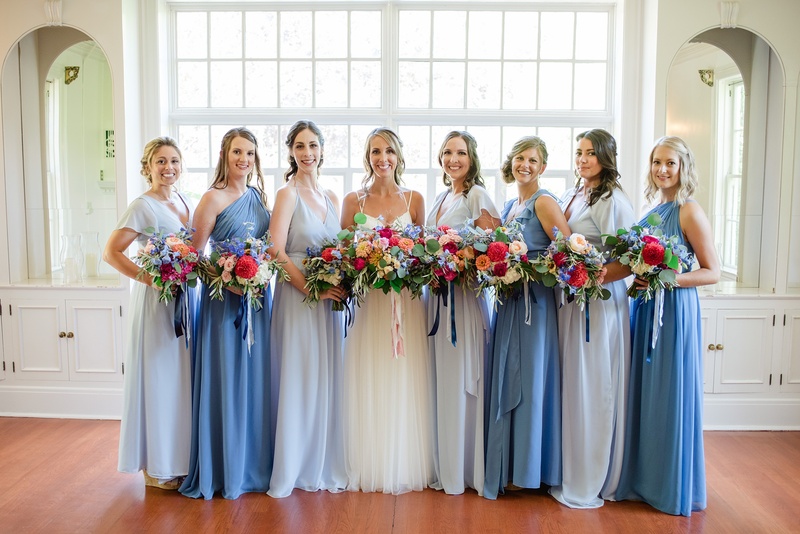 Melissa and Matt had one HECK of an incredible wedding day this summer at one of my favorite venues – The Monte Verde Inn in Foresthill, California. 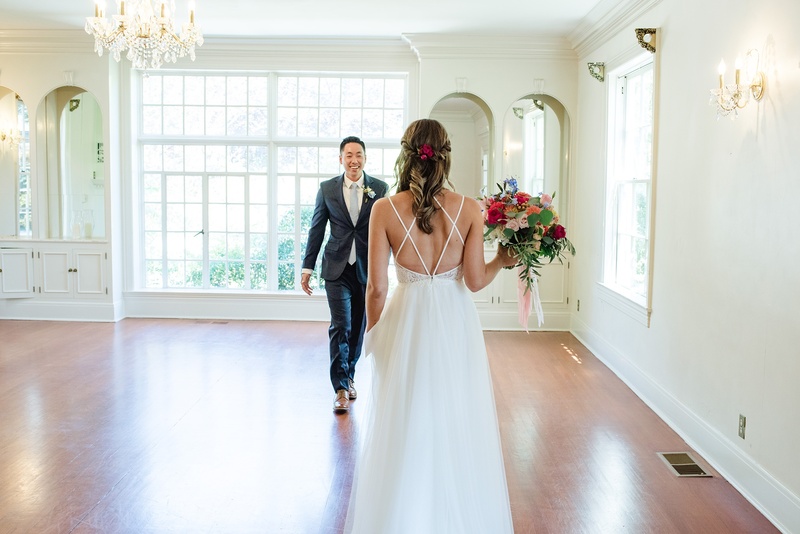 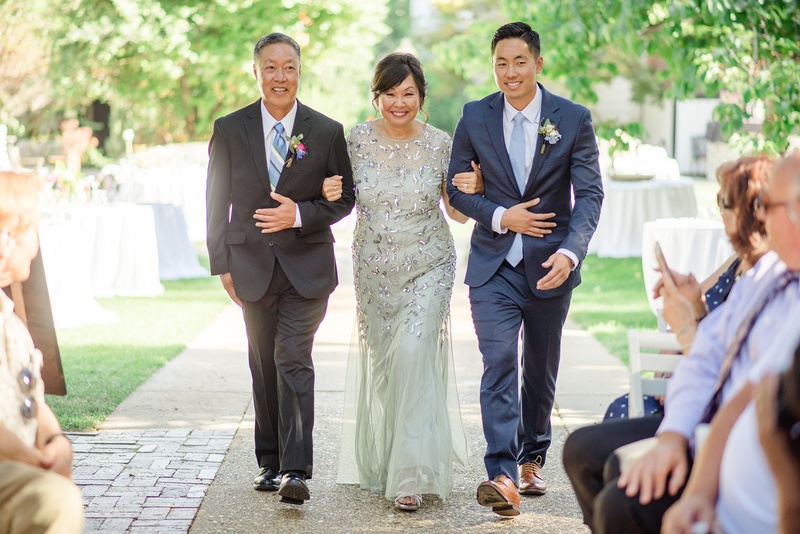 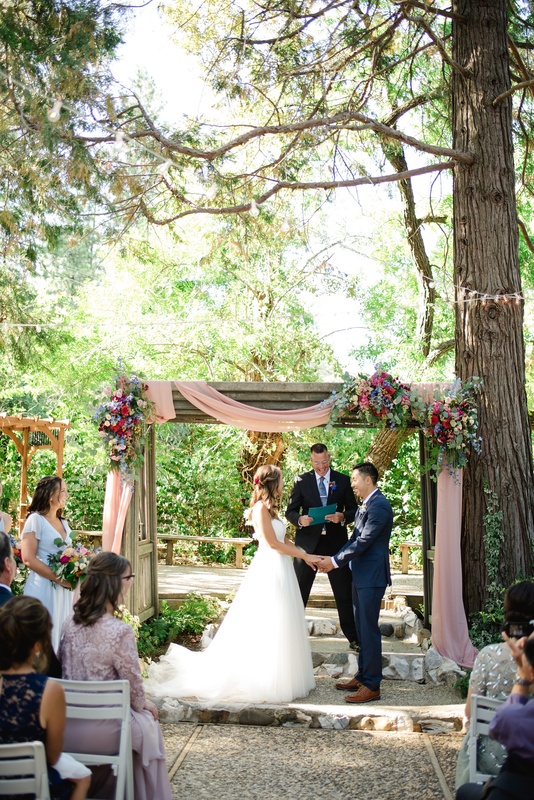 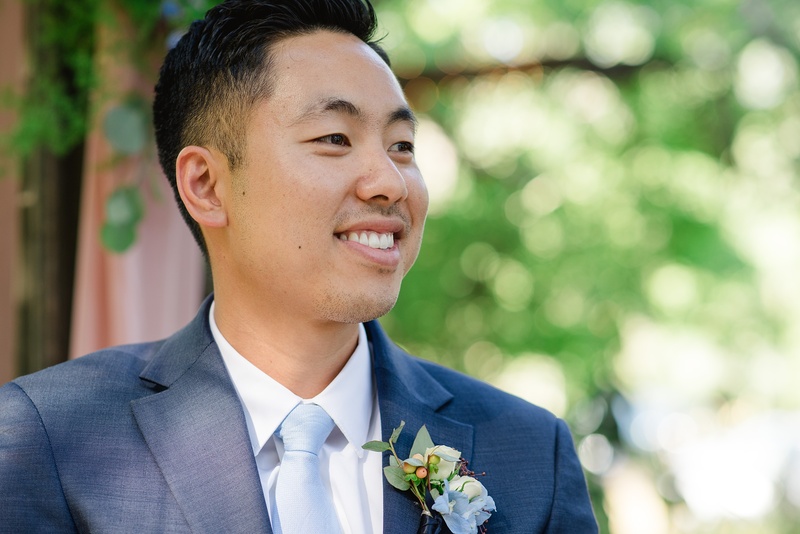 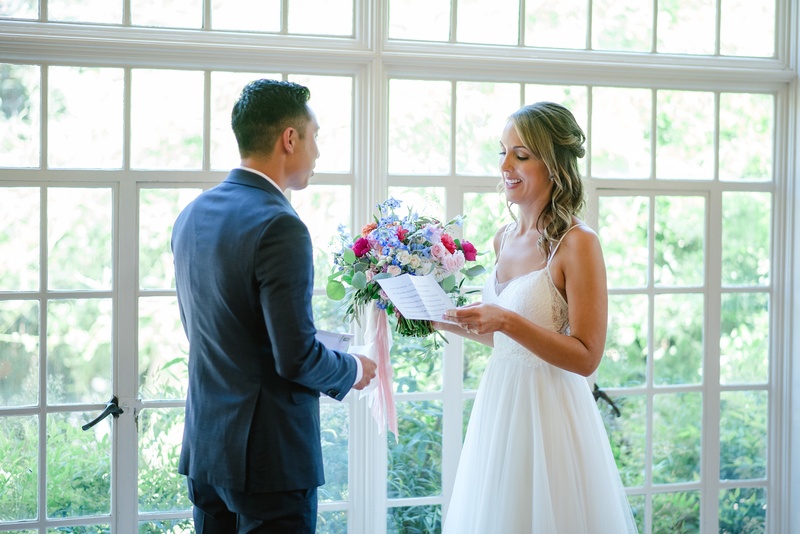 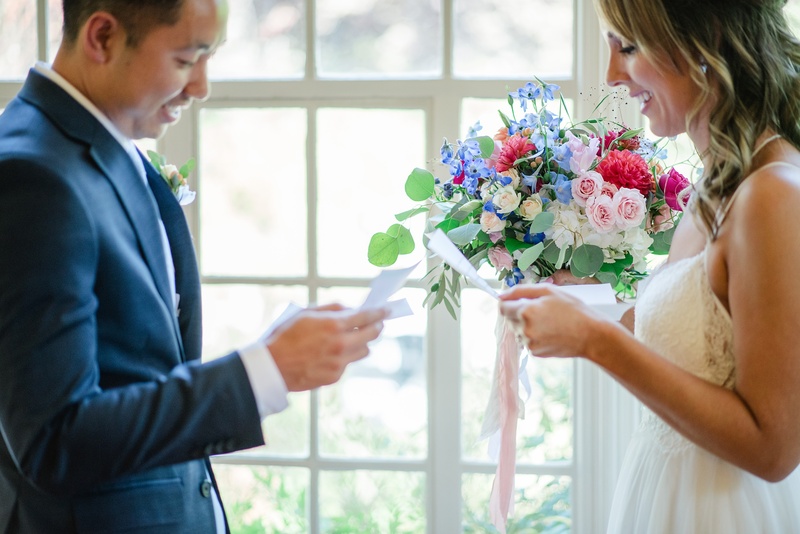 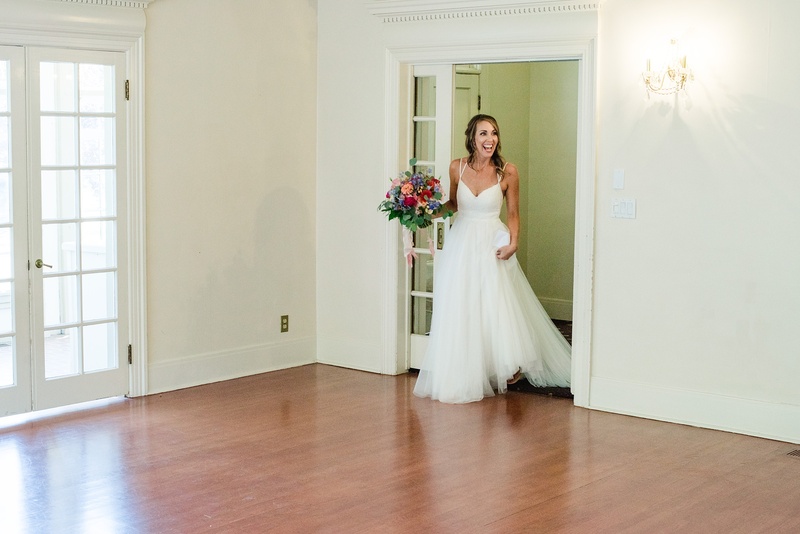 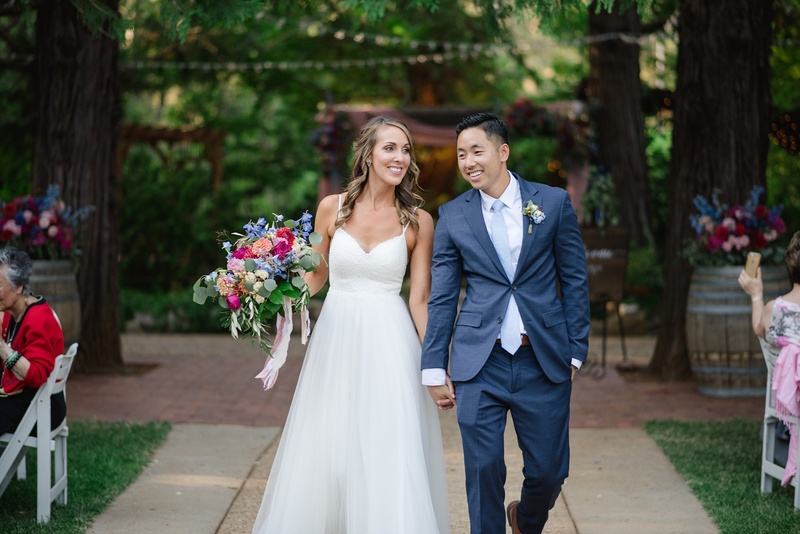 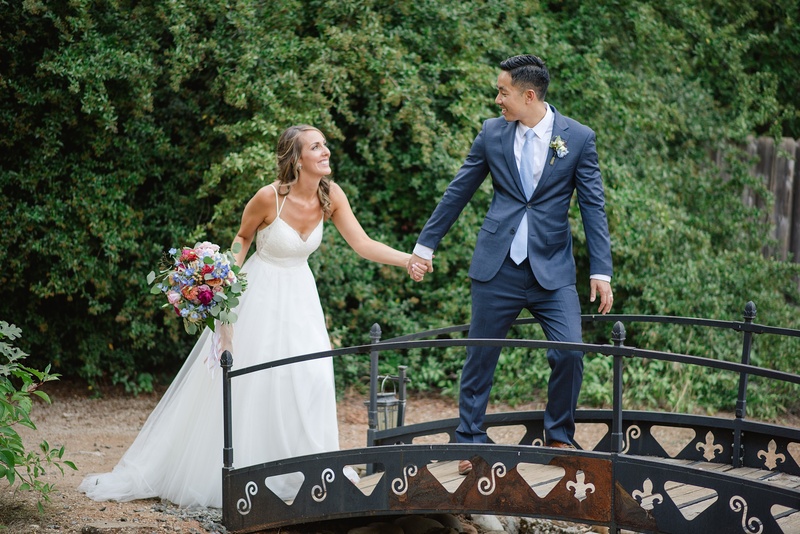 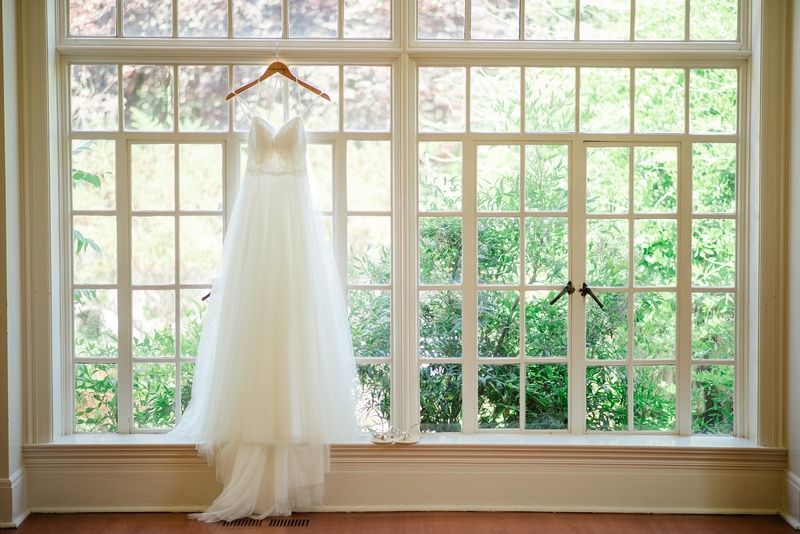 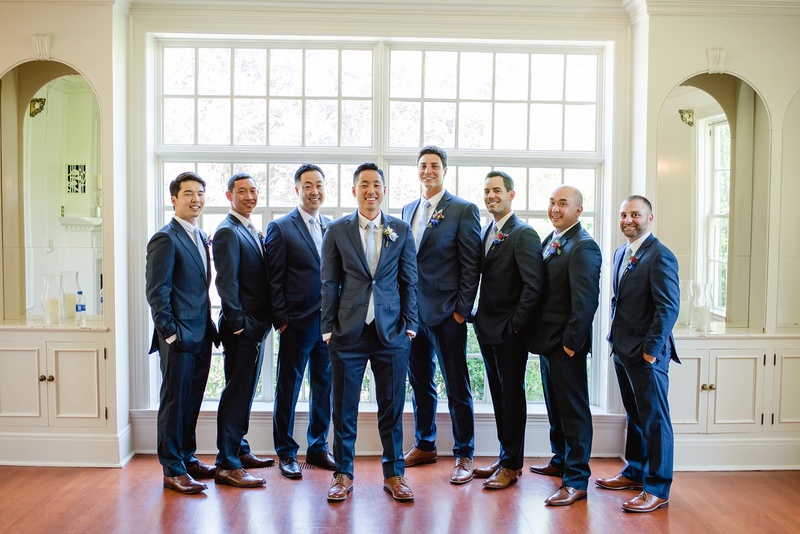 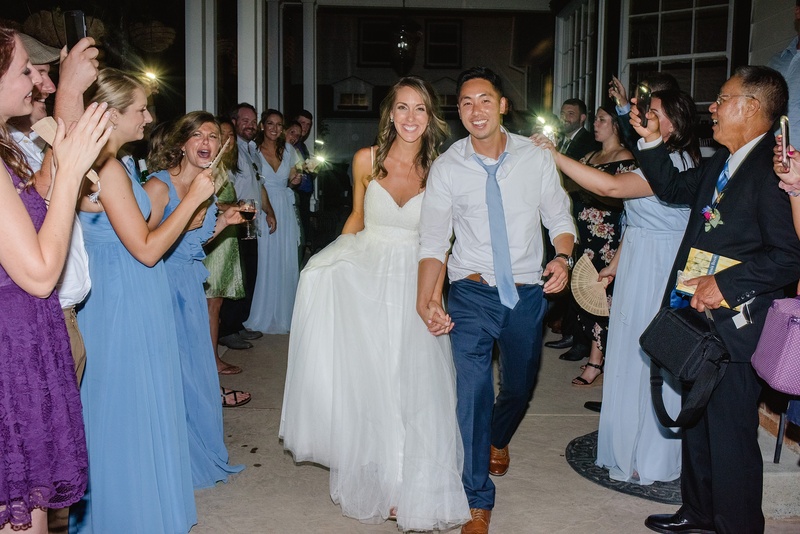 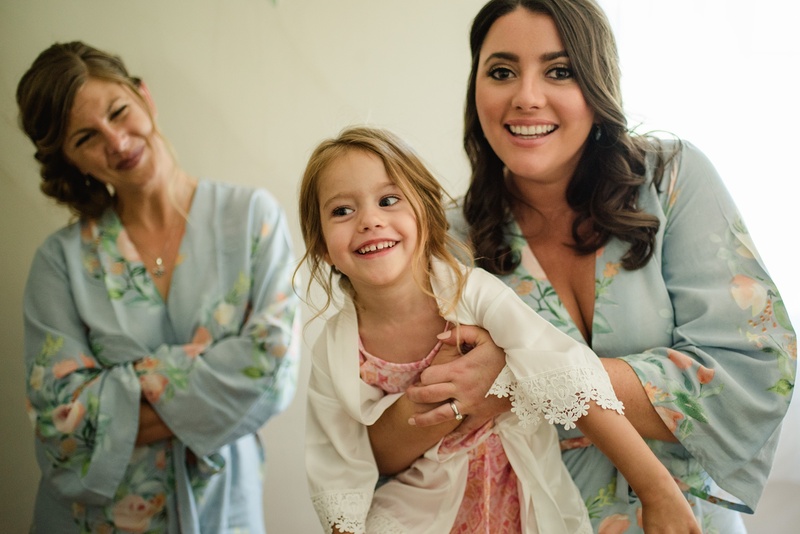 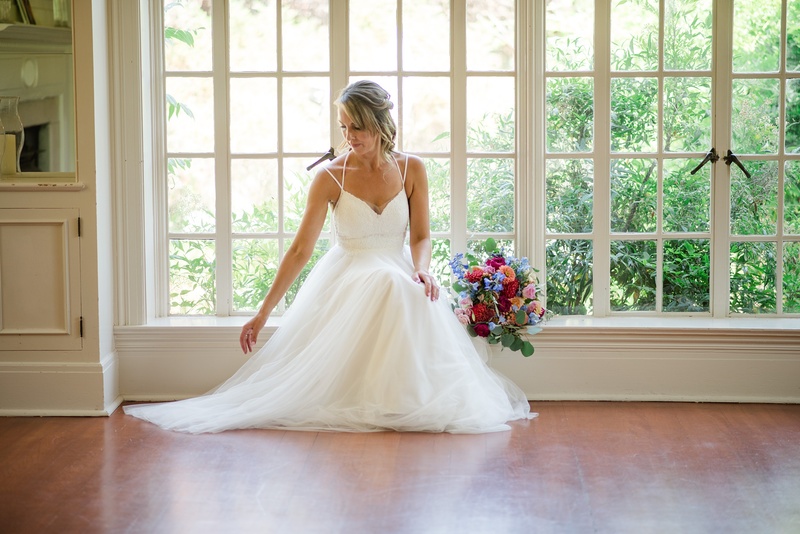 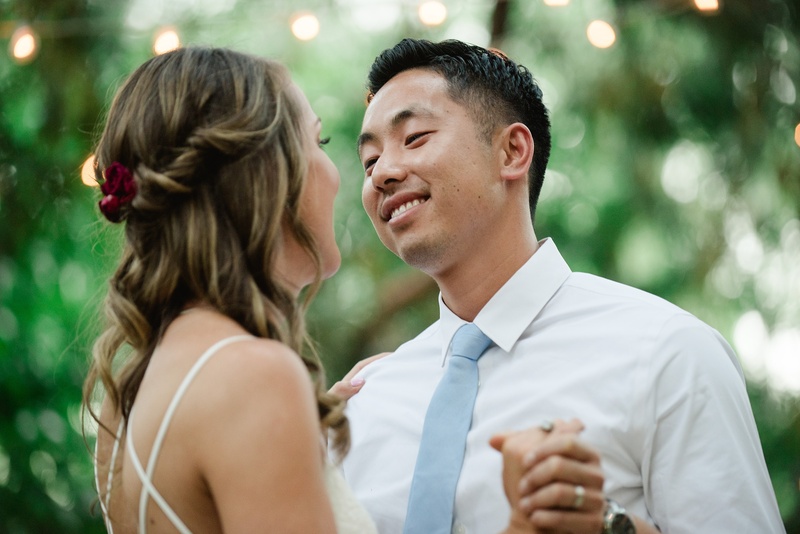 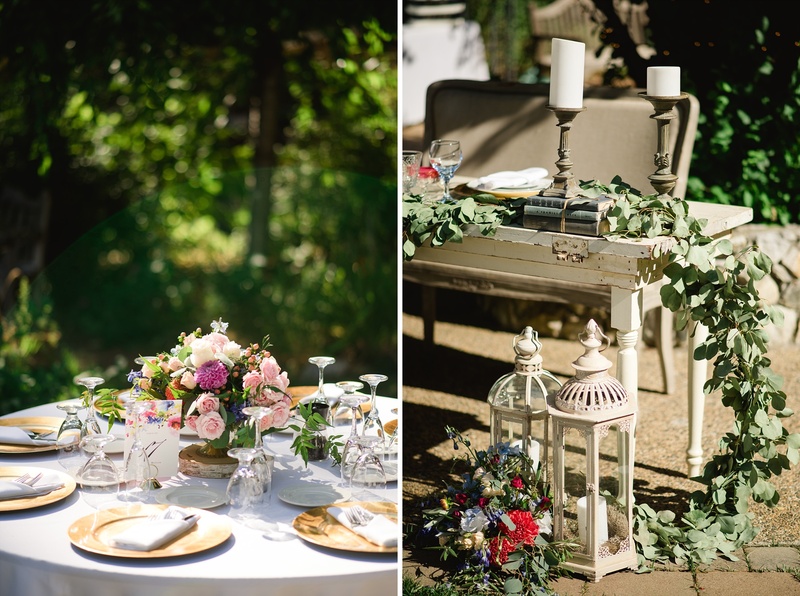 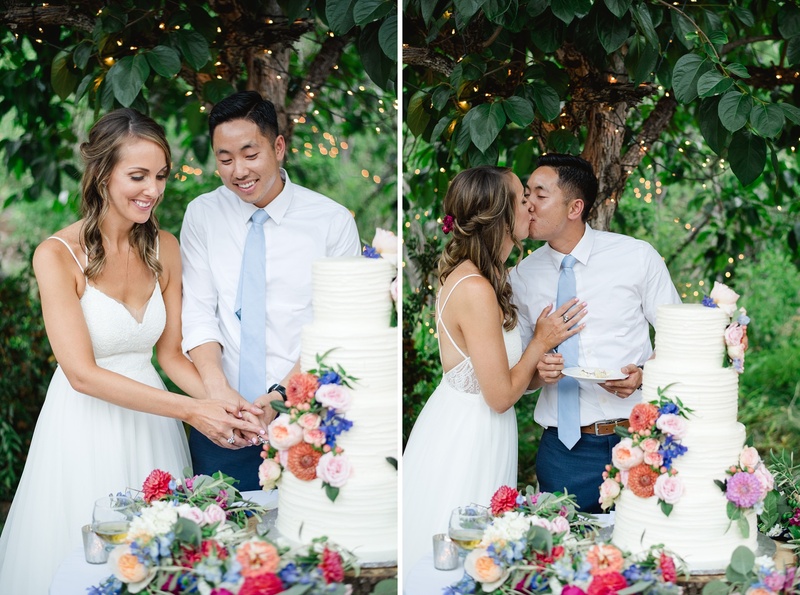 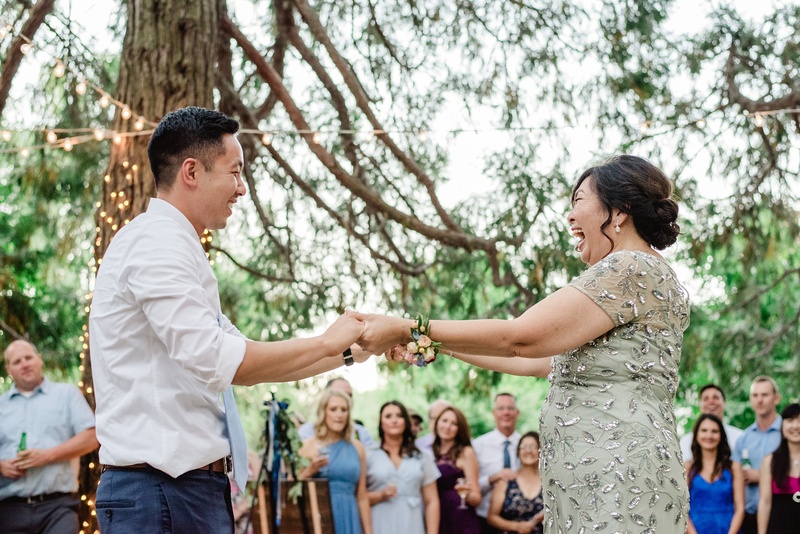 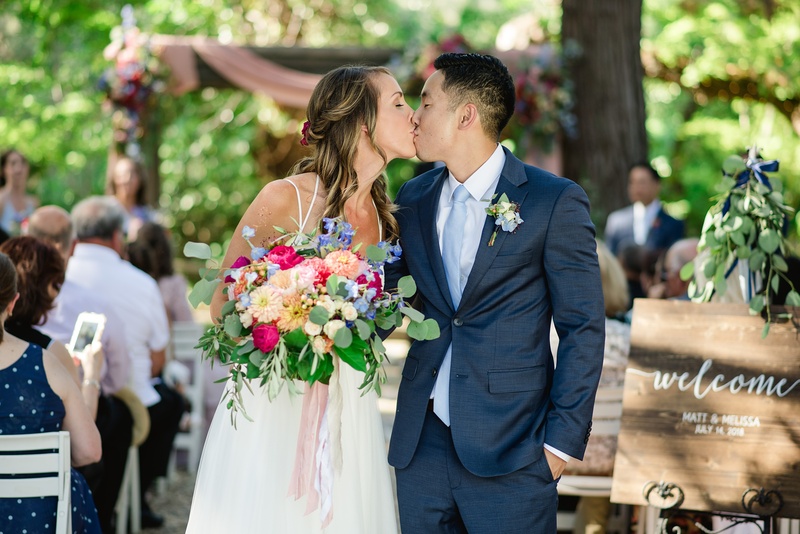 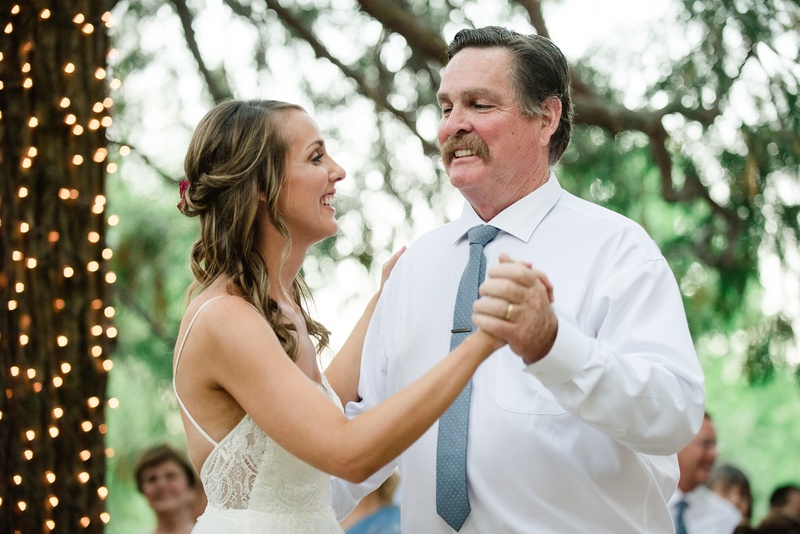 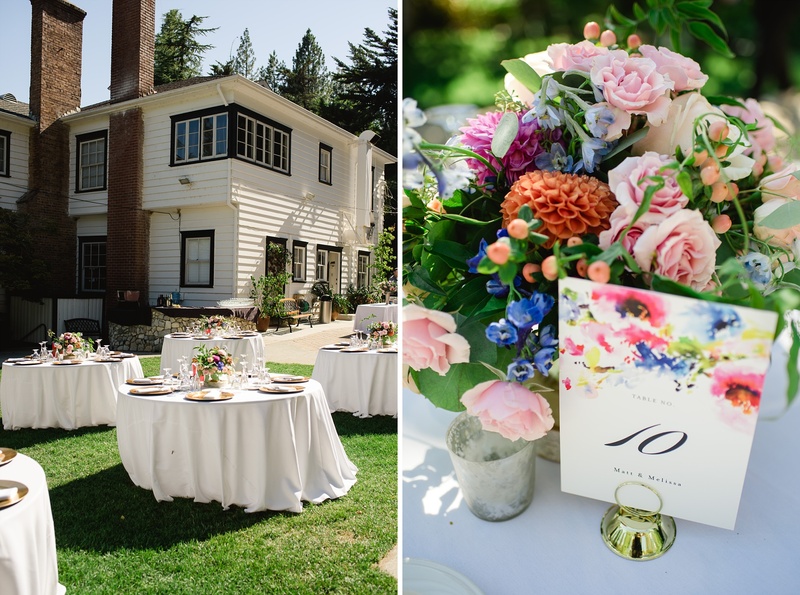 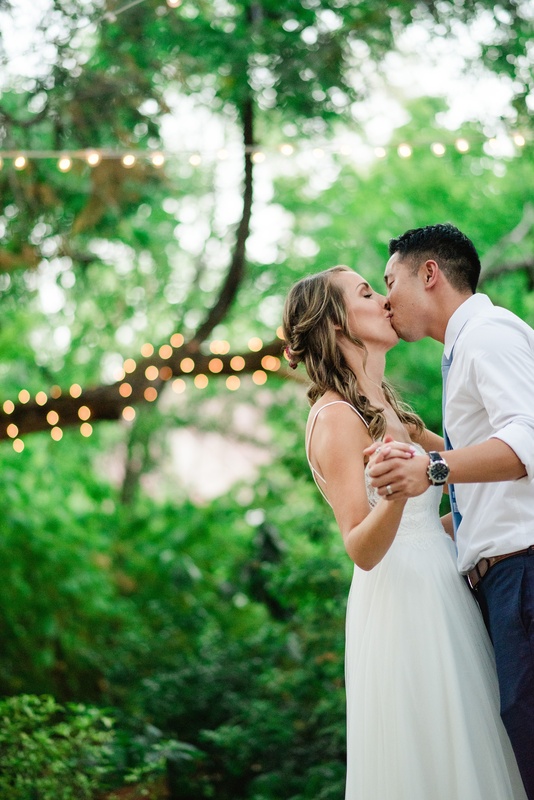 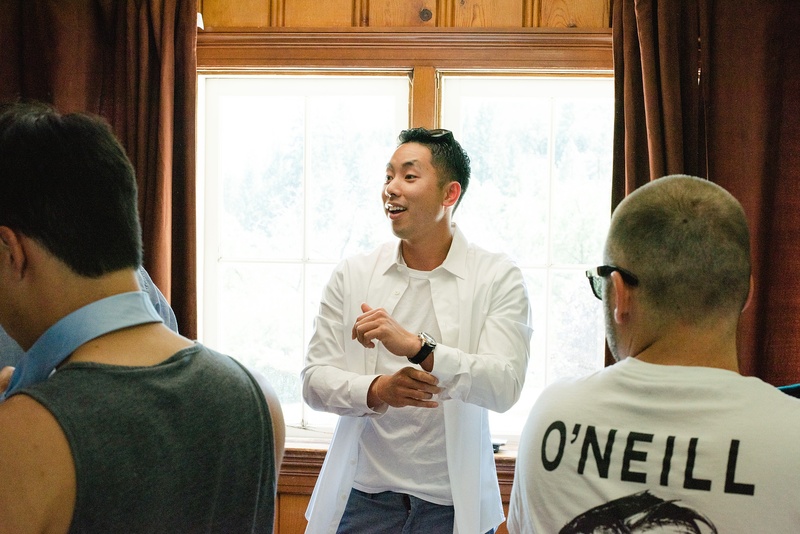 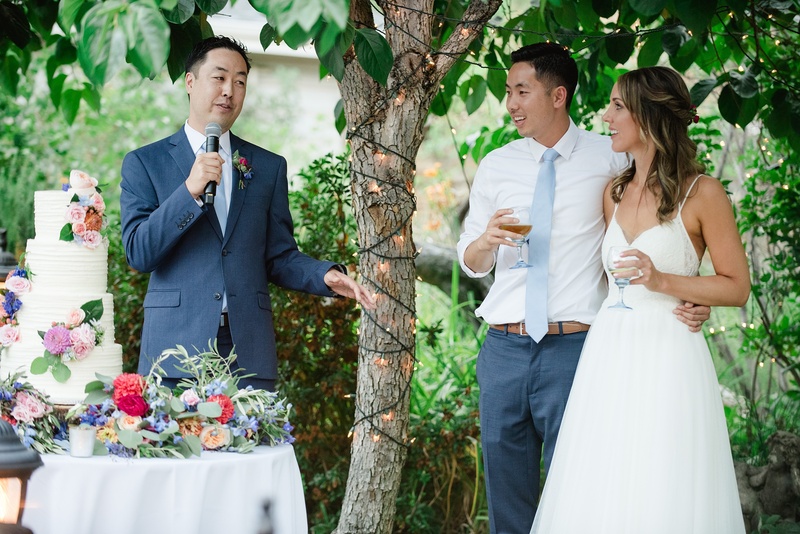 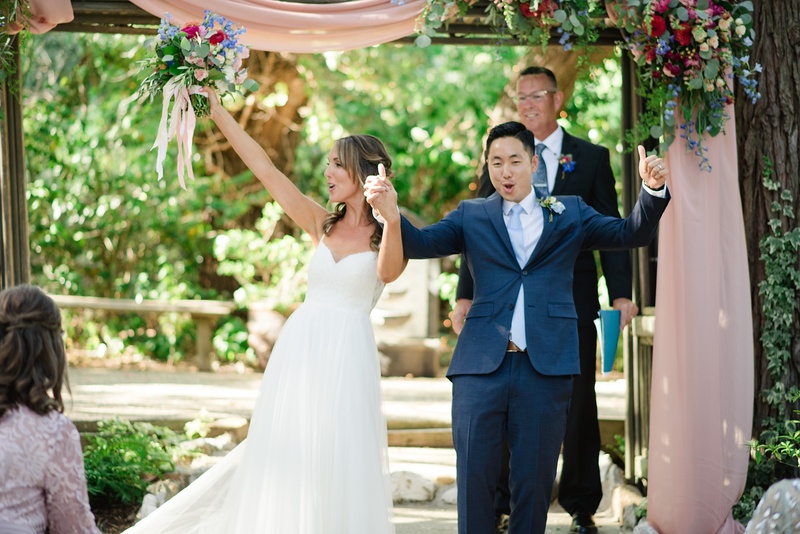 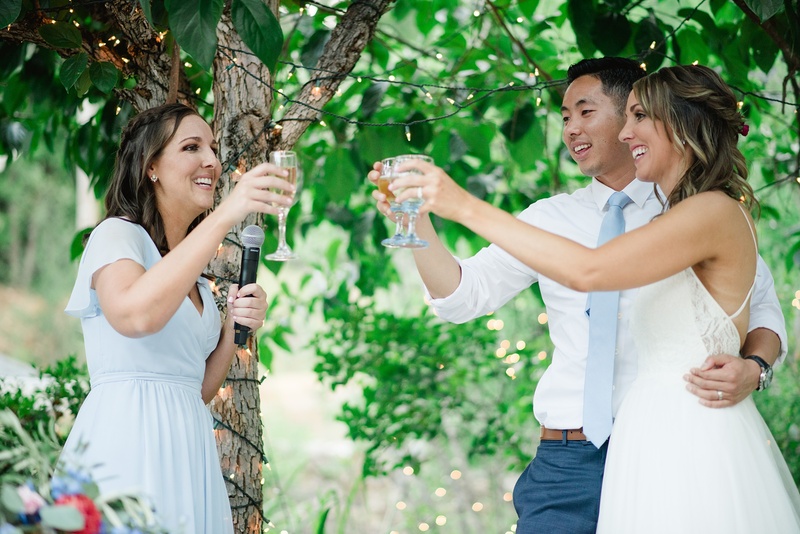 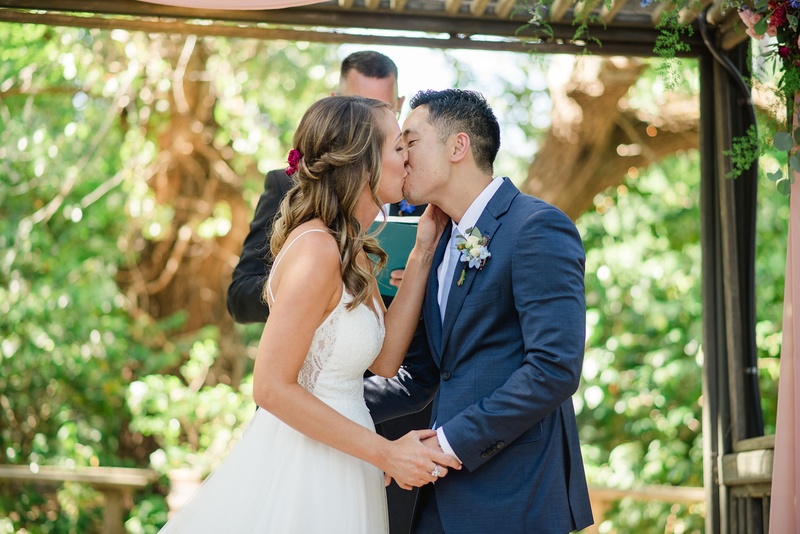 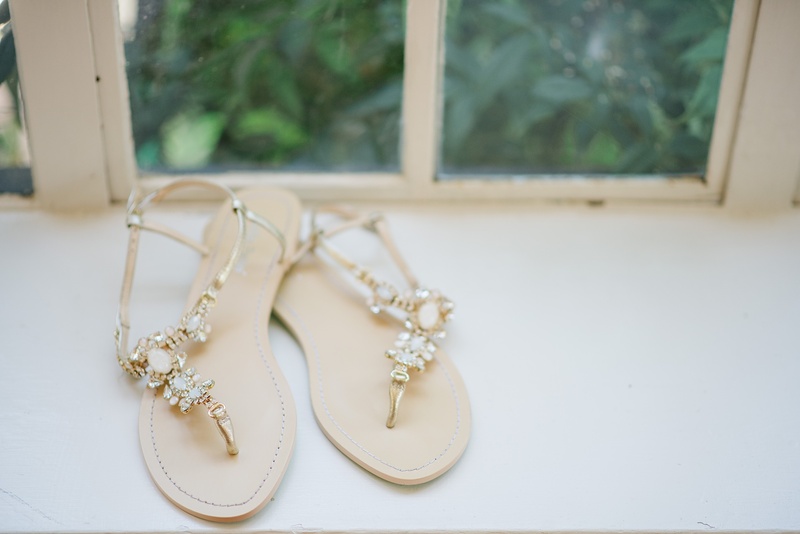 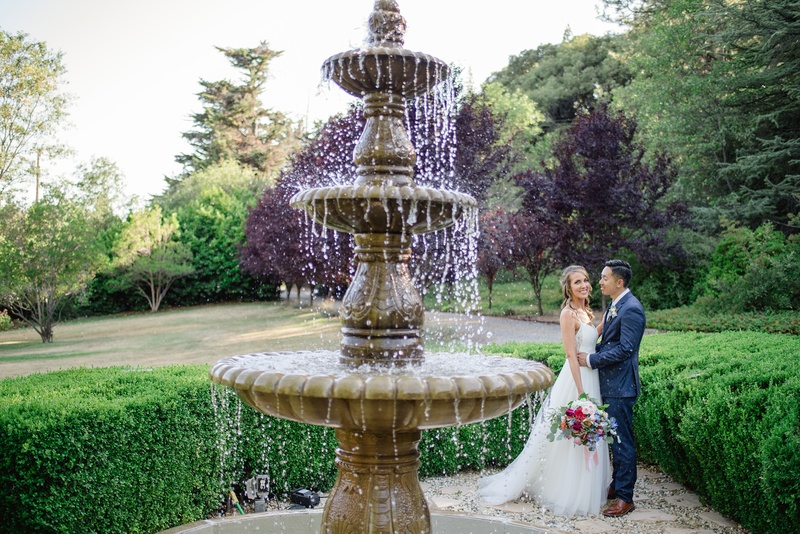 This Monte Verde Inn wedding was SO beautiful and filled with so much love and laughter. 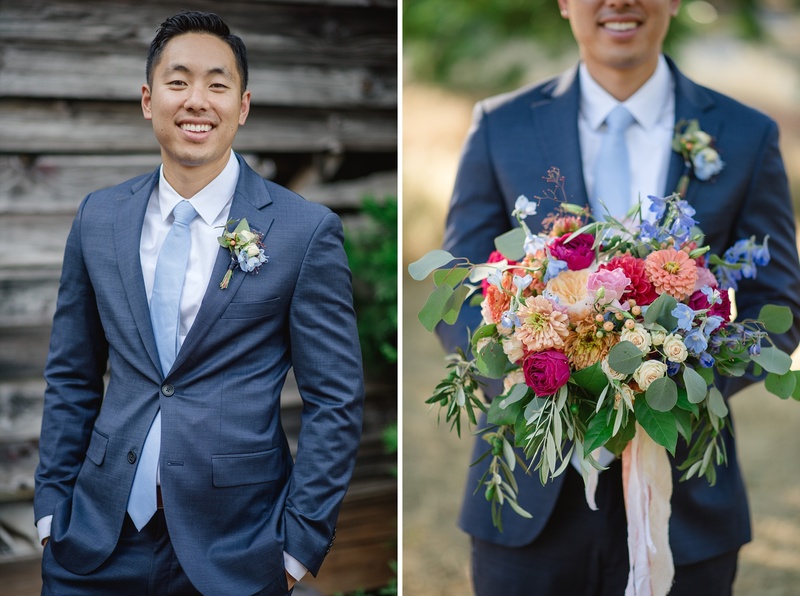 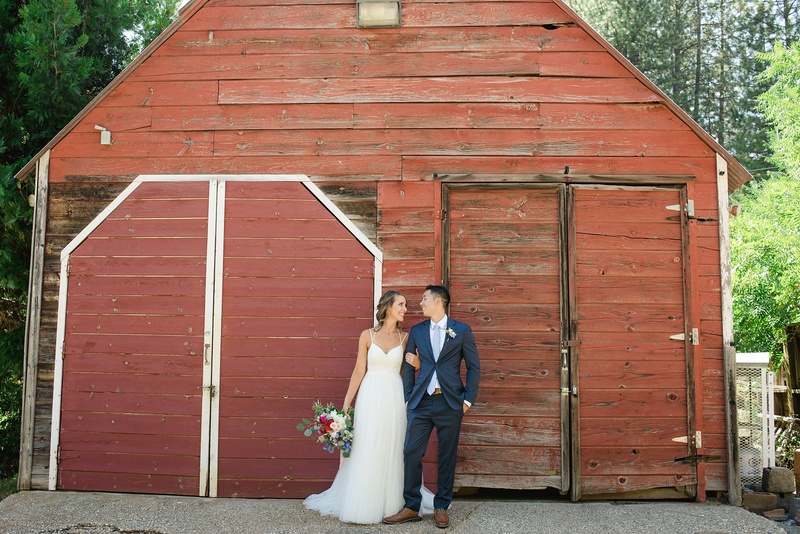 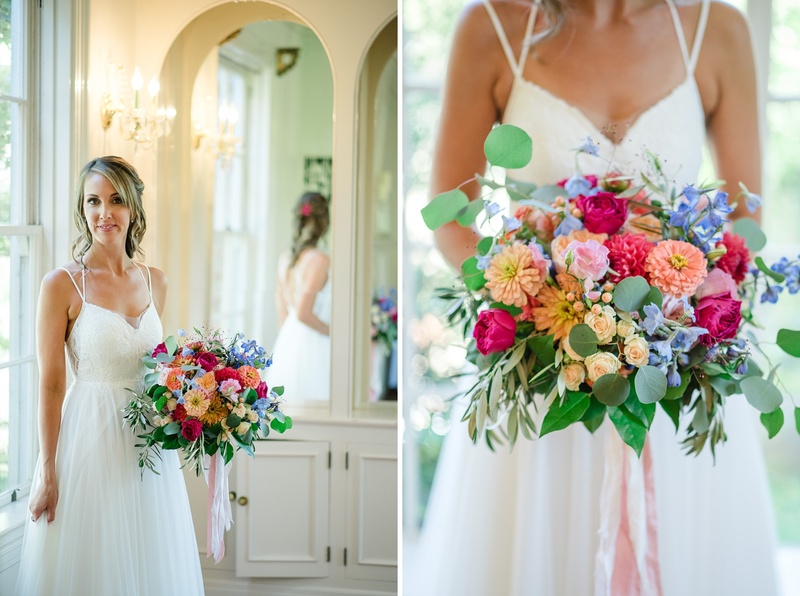 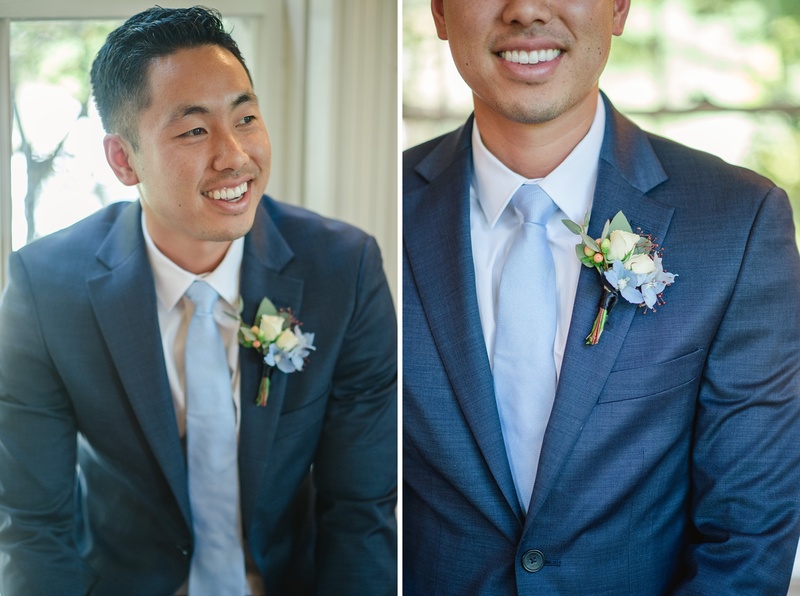 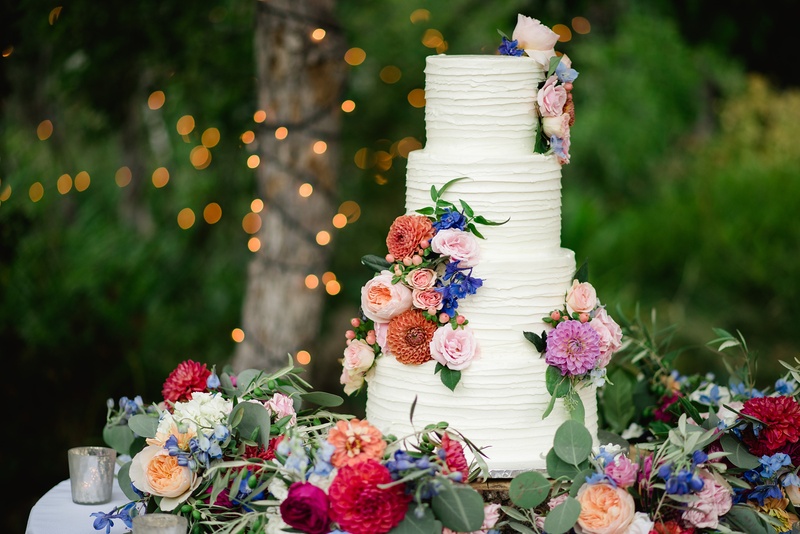 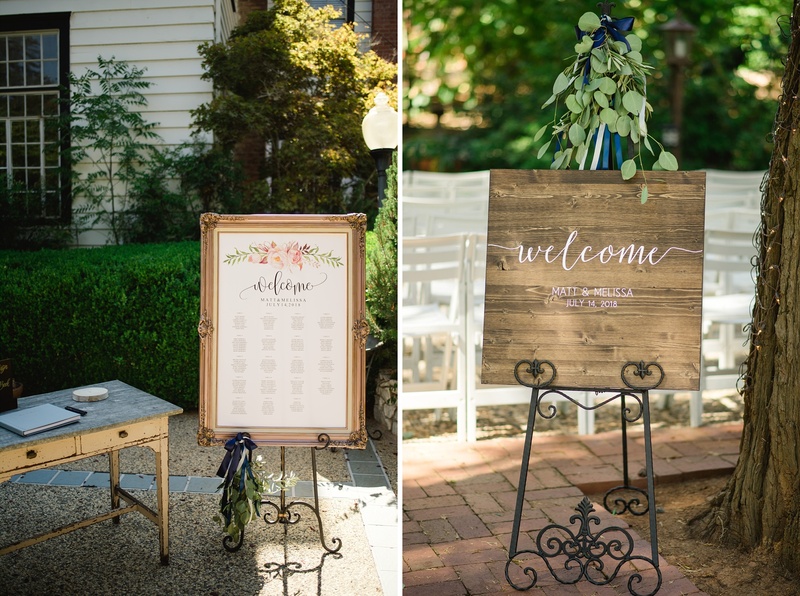 I loved the beautiful colorful choices Melissa and Matt made to make their wedding day pop! 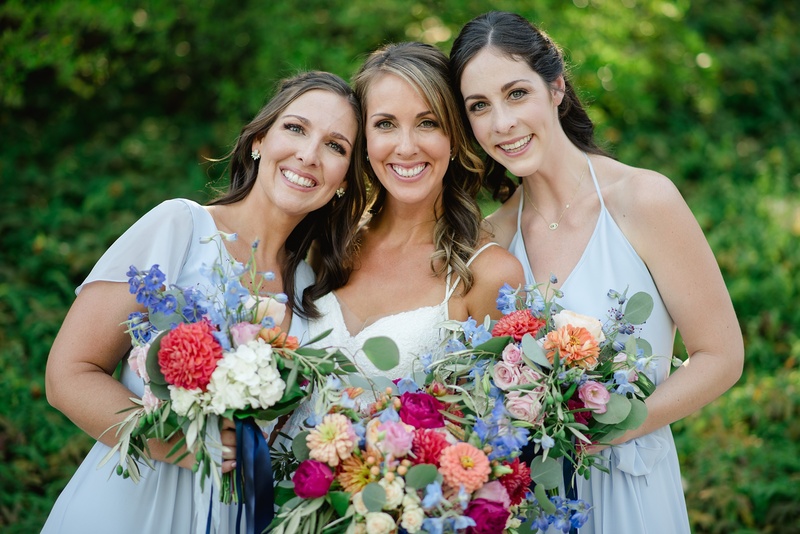 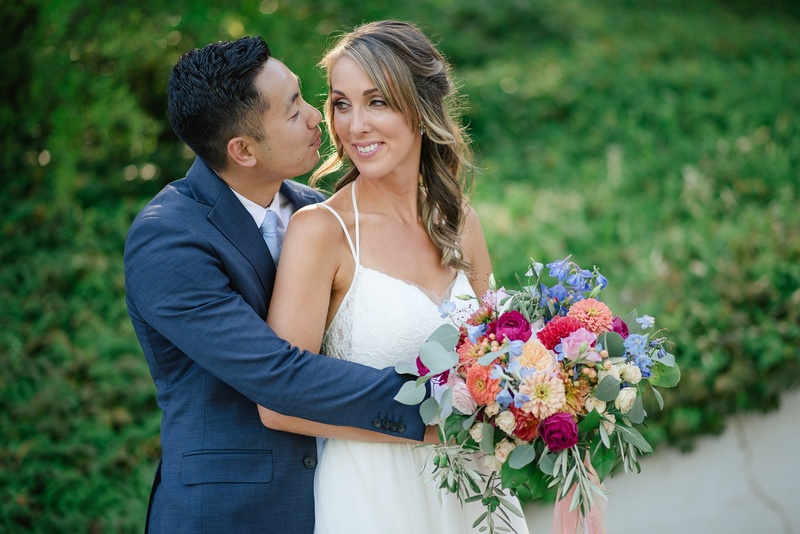 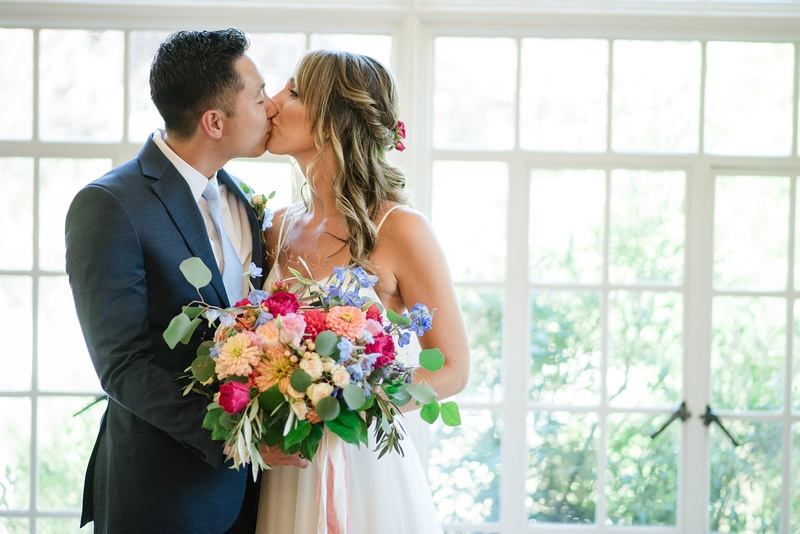 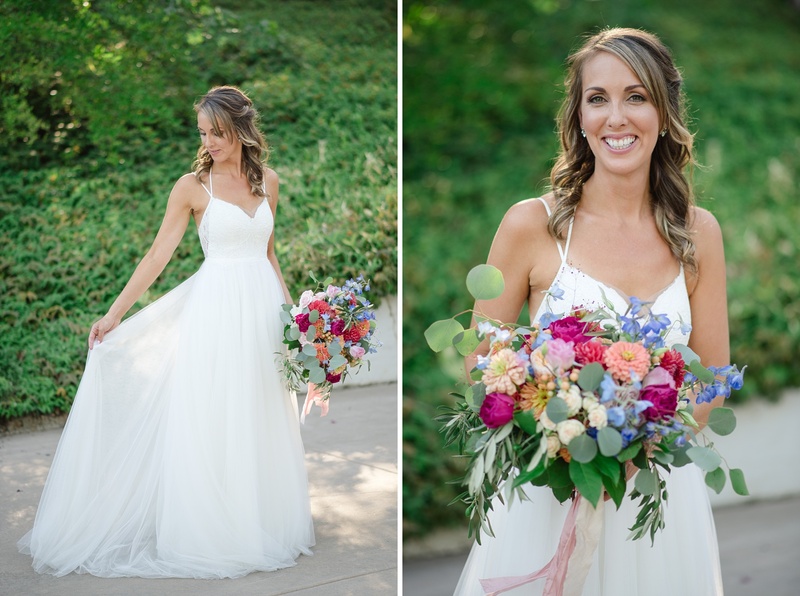 Shannon of Flourish once again made my heart happy with her bright and joyful bouquets and personal flowers for this wedding. 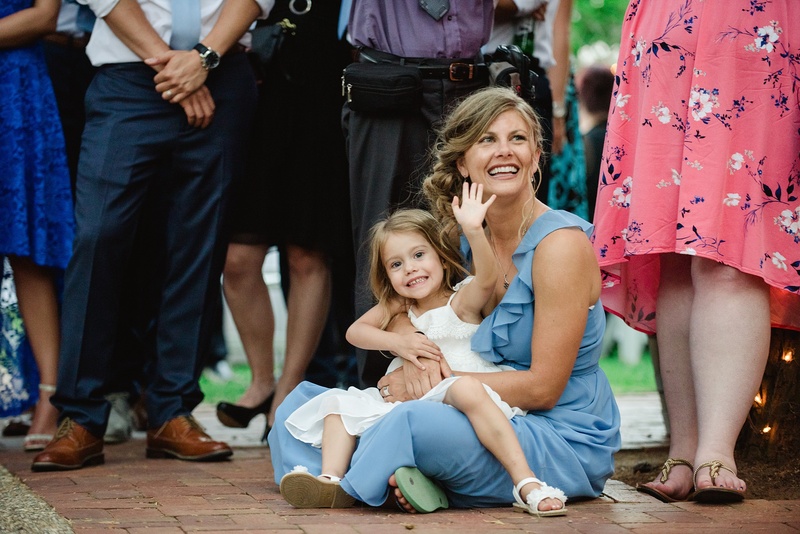 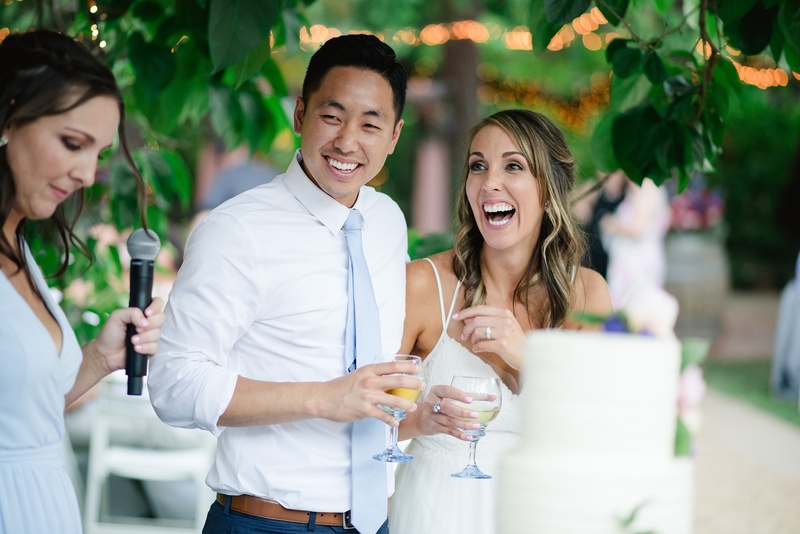 I asked Melissa and Matt to share some of their experiences with you as well… check out more of this lovely wedding and their answers below. 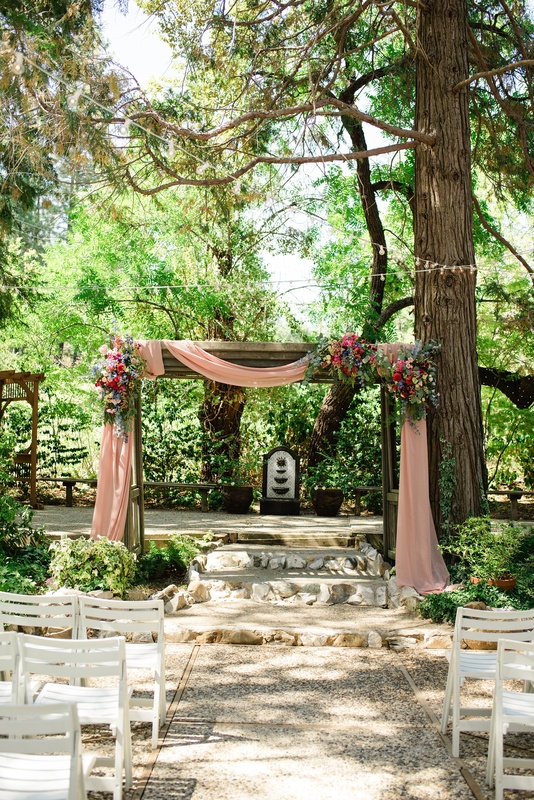 I had one moment where I actually sat down with a friend and chatted for a bit because we hadn’t seen each other in while, and while we were sitting there I sort of just surveyed the scene and enjoyed everything. 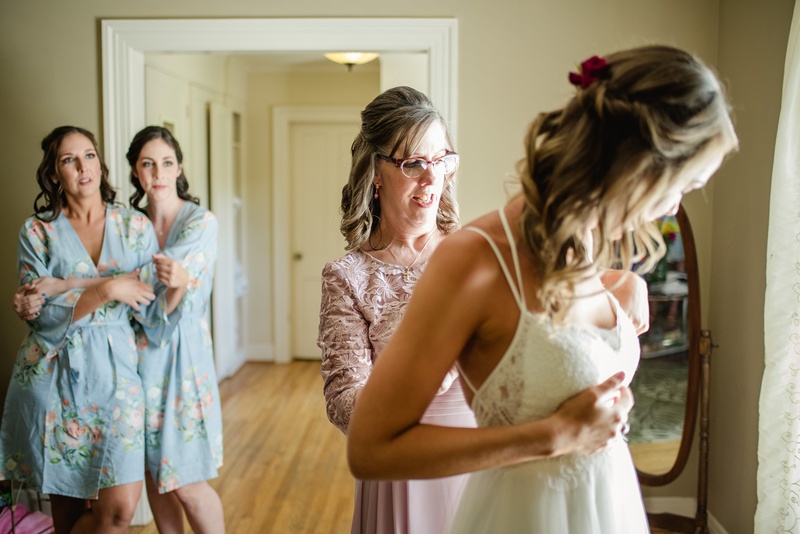 That moment sticks out in my mind, but the whole day was memorable and went by in a flash. 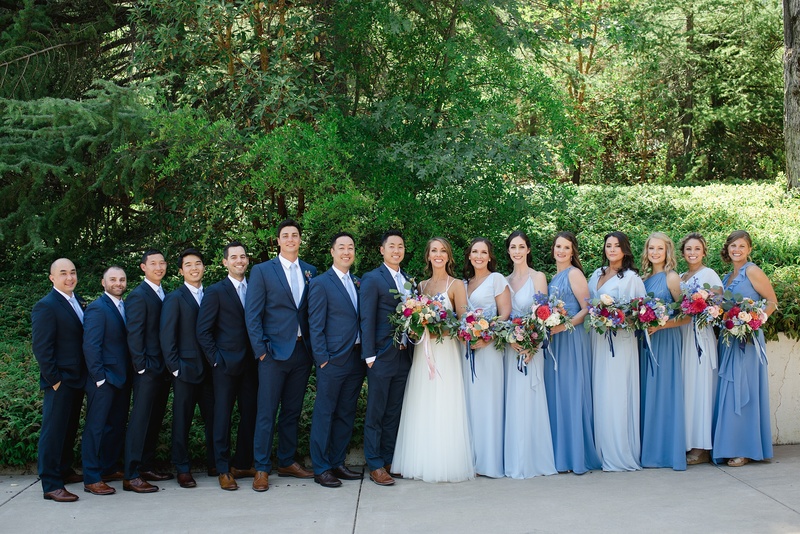 Just seeing all my friends and family at one event, and having them meet my husbands friends and family felt pretty surreal. 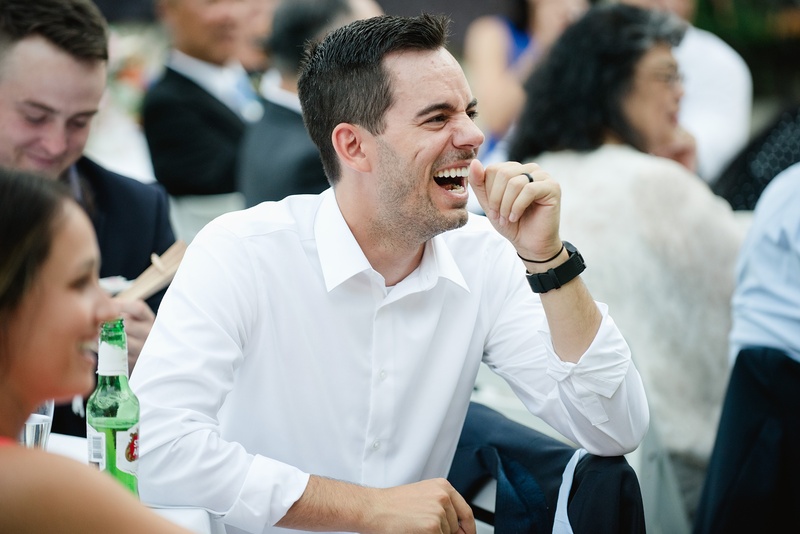 Try not to stress. 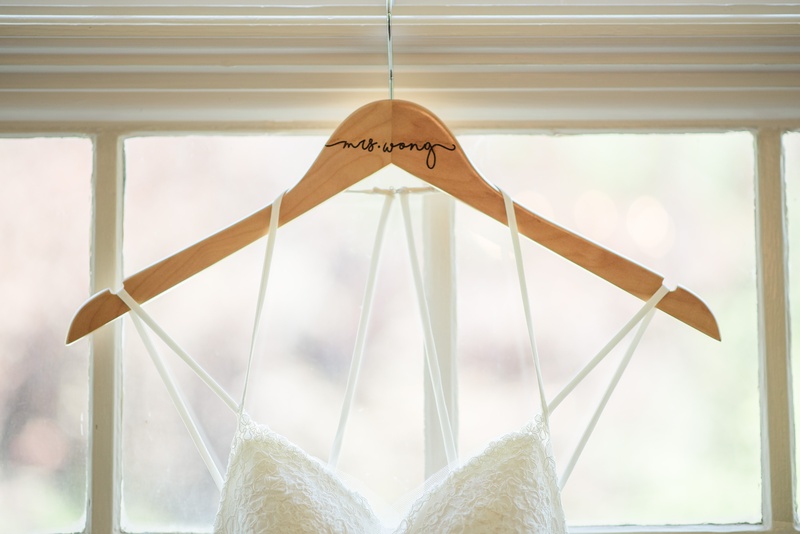 It’s a lot of details and logistical planning (even if you’re a slacker bride like me). 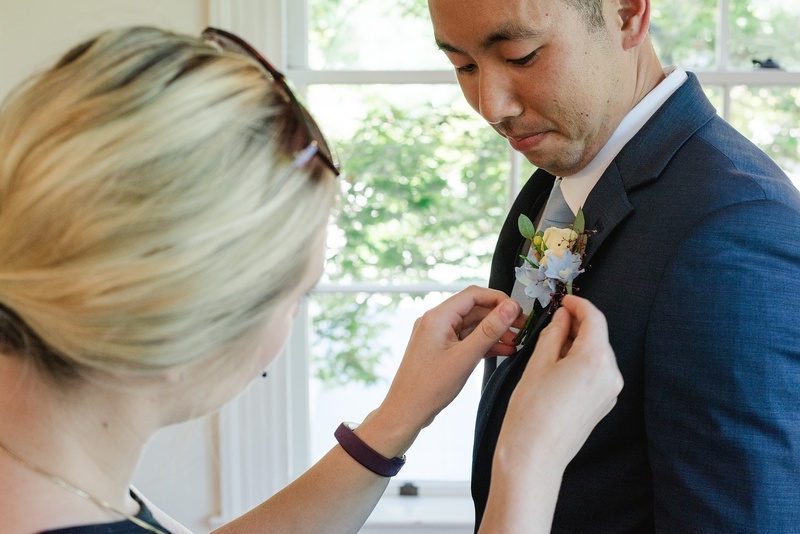 Keep a spreadsheet for keeping track of your budget, but also important to do items. 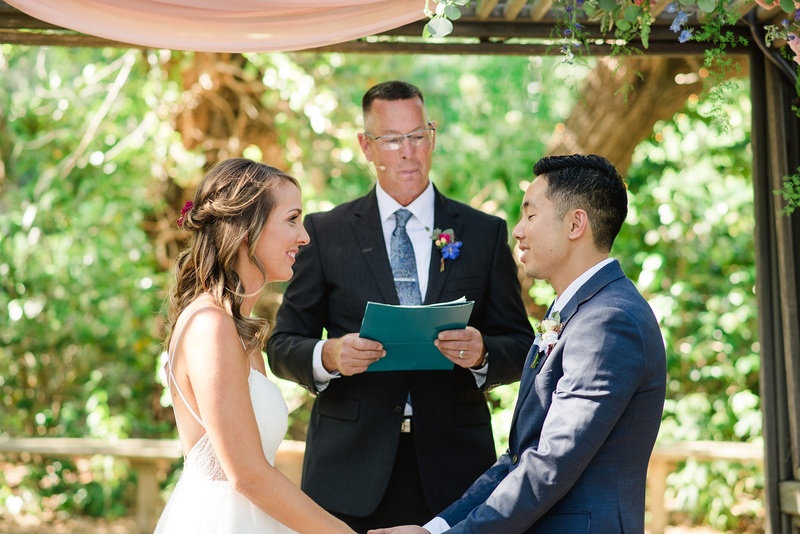 Honestly, I loved my wedding day. 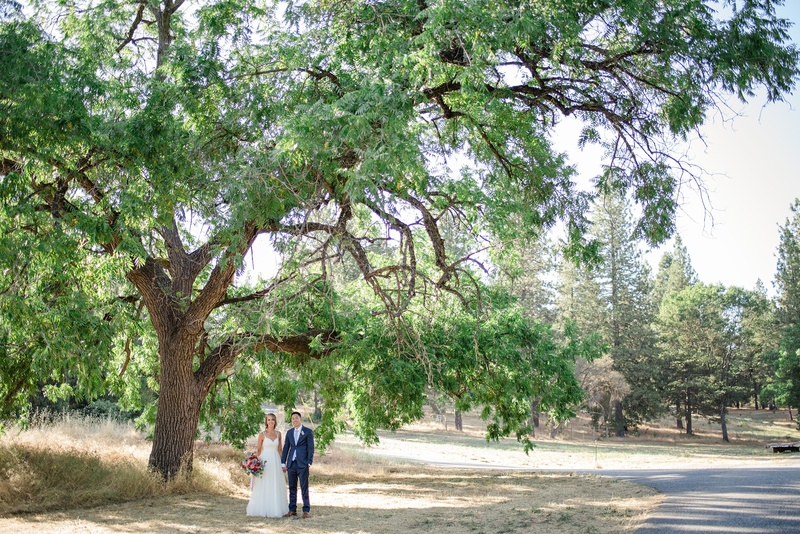 I think the only thing I would have changed was the weather because it was so dang hot.